In 2013, Australia has undergone quite a few changes in its Immigration system. From removing a few Visa programs to changing the name from DIAC to DIBP, let us take a look at some of the major changes that the Australian Immigration system has undergone this year. From 1st January 2013, the Department of Immigration And Citizenship (DIAC) has stopped accepting any new applications for 3 Visas: Skilled – Sponsored (Residence) Visa (Subclass 886), Skilled – Independent (Residence) Visa (Subclass 885) and Skilled – Regional Sponsored (Provisional) Visa (Subclass 487). In June, Australia has revised the visa pricing to drive use of online services. From 1st July, a ‘per-person’ charge will apply to every family member who is included in a visa application. An additional AUD 80 will be charged for certain visas when visa applicants lodge a paper application rather than applying online through the eVisa service (where this service is available) of Department of Immigration And Citizenship (DIAC). Also, an additional charge of AUD 700 is levied on visa applicants who seek to stay in Australia for extended periods on subsequent temporary visas. In July, Australia and Canada collaborated to provide over 100 countries with the access to eMedical system. This is the new electronic health processing system of DIAC which enables more cost-effective and efficient visa processing. eMedical is an improved and updated version of the earlier ‘eHealth’ system which is used to record the visa applicants’ health examination results online. On 1st July, in line with the Australia-wide increase in average weekly earnings, the ELSET (English Language Salary Exemption Threshold) and the TSMIT (Temporary Skilled Migration Income Threshold) have been indexed by 4.8 per cent. This has increased the ELSET from $92,000 to $96,400 and the TSMIT from $51,400 to $53,900. From 1st July, the Temporary Work (Skilled) visa (subclass 457) has undergone many changes and the nomination application fee has been increased from $85 to $330. The Skilled Occupation List (SOL) from Australian Immigration is based on the ANZSCO (New Zealand Standard Classification of Occupations) and lists the high-value skills needed by Australia. It pertains to all the applications that come under the General Skilled Migration program. The list is updated every year to adapt to changes in Australia's labor market needs. On 1st July 2013, the following 5 occupations were removed from the SOL: Retail Pharmacist, Hospital Pharmacist, Aircraft Maintenance Engineer (Structures), Aircraft Maintenance Engineer (Mechanical), Aircraft Maintenance Engineer (Avionics). The Consolidated Sponsored Occupation List (CSOL) has also undergone the annual updating process. On 1st July, 7 new occupations were added to the CSOL which are: Procurement Manager (133612), Nutritionist (251112), Intellectual Property Lawyer (271214), Archaeologist (272414), Hydrographer (311415), Kennel Hand (361115), Registered Nurse (Paediatric) (254425). One occupation that is removed from the CSOL is Anatomist or Physiologist (234512). Visa pricing has been revised again on 1st September, and all the applicants now need to take a look at the new price table before paying the Visa Fee. Under the leadership of the new Prime Minister Tony Abbott, who was sworn-in to the office on 18th September, there have been several changes that affected the immigration portfolio and the department. The major change is the re-christening of DIAC to DIBP i.e., Department of Immigration and Border Protection. On 17th September, Australians celebrated Citizenship Day as nearly 2300 people from 92 countries were welcomed into the country’s family as part of the celebrations. From 28th October, ENS (subclass 186) and RSMS (subclass 187) Visas stopped accepting the skills assessments obtained for a Temporary Graduate (subclass 485) visa. On 6th November, DIBP has launched a new look for their website. The immi.gov.au has undergone a few major changes. The fresh look has a user friendly structure and an improved search function to help people find what they need, when they need it. 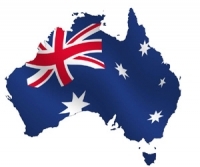 On 11th November, DIBP announced that it will make changes to the online visa lodgement services in early December 2013. The department warned that the changes will affect all present, saved, unsubmitted online applications and if there are any unsubmitted visa applications during the changes by the department, it is not possible to retrieve them and the process has to be started again. From 23rd November, employers looking for accessing the Subclass 457 Visa Programme to hire workers from outside of Australia, in certain occupations to fill a nominated vacancy in their business, should first test the local labour market to make sure that there is no suitably experienced and qualified Australian Permanent Resident or Citizen to fill that position. Australian employers can just advertise on their own company website or on Facebook and need not provide records of interviews with job applicants from Australia or copies of applications before applying to hire overseas workers. To some nominations like highly skilled occupations, the requirement for labour market testing will be exempted. On 7th December, DIBP has announced the ImmiAccount facility. Through this, people can submit, pay for and manage all online visa applications in one place. It will connect applicants to all online services managed by DIBP, including Visa Finder, My Health Declarations, the Pricing Estimator and VEVO (Visa Entitlement Verification Online). Except for Citizenship and ETA (Electronic Travel Authority) applications, ImmiAccount accepts all online applications.